Wakesurfers do not have strict length recommendations. Measured in feet and inches like surfboards, each board is built differently to accommodate different riding styles and ability levels. Bigger Wakesurfers Bigger wakesurfers are the way to go if you are heavier, a beginner or if your boat throws a smaller wake. They are longer and move slower in the water which is great for beginners. Smaller Wakesurfers Smaller wakesurfers are great for those who are more advanced or light weight as they move faster and are great at cutting the wake. 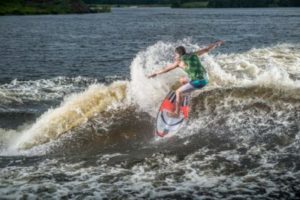 SHOP ONLINE Want a large selection of Wakesurf Boards? Shop at our online ProShop. 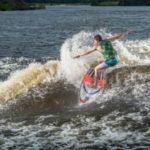 TheWakeShop.com has all the best brands and the best clearance prices online.